We'll Help You Find The Time. It can be difficult to separate yourself from the granular, day-to-day details of school operations and take the 30,000 feet view. Safety is one of those overarching topics that is easily set aside in order to deal with more immediate matters. However, as we all know, an inadequate response to an emergency situation can have far-reaching impacts on individuals, groups, and communities. Preparing your school for effective emergency response, despite the daily demands and tasks that make it difficult, is too important to set aside. Here are a few tips to help you manage the difficult balance between preparing a long-term safety plan and taking care of your daily work. In this day and age, for a variety of reasons, many school employees have their students and their own personal safety at the top of their minds. They may be interested in doing some research into ways they can improve their school safety. That could be immediately, or it could be part of a longer-term program. Regardless, they will take some of the groundwork in terms of researching safety off of your plate. A cool side benefit to this is that it more fully engages employees with their school community. You may even find that this pays off in areas of your school that you hadn’t even considered! Develop an iterative strategy that scaffolds learnings and outcomes toward that end goal. Share the “why” behind each and every step of the way. Incorporate the emotional component of safety into the process, plan and strategy. People are people first, and we believe you have to create an environment in which they are allowed to be human – anxious, overzealous, whatever that might mean for them. Coordinates all of the necessary aspects of the program – be that incorporating the counselor(s), the nurse(s), the board, the leadership team, the students, the parents, etc. If this seems like a useful way to relieve some of your burden, you can read more good reasons to hire a safety consultant here. We at Joffe will be the first to admit that there are some elements to school safety planning that take extended and measured consideration (meaning LOTS OF TIME THAT YOU DON’T HAVE). That’s one of the benefits to the aforementioned outsourced safety consulting. However, if you don’t currently have the budget for a step like that, you don’t have to behave as if your hands are tied. There are things you can get done today that will immediately improve your school’s safety. Here are a few examples! Know your campus--At the very least, important decision-makers in your school community should be aware of the shut-off points for the electricity, gas, water, and HVAC. If the fire department came, how many people on campus could point them to the fire panel? Involve Parents and Guardians-- Be warned. You should only take this step if you truly want to improve your school’s safety. Nothing and no one is more dogged in the pursuit of a goal than a parent looking to protect their children, and of course in any emergency, parents will play a crucial role. Hold meetings, ask for feedback, and communicate with parents about safety whenever possible. You will almost certainly find yourself swimming in ideas, comments, and questions regarding safety that will at the very least challenge your thinking on the subject. 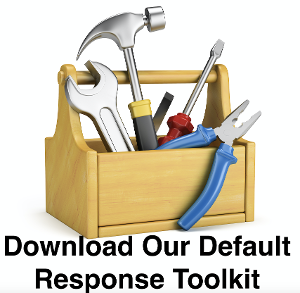 When you're ready to get started, download our free response toolkit below and immediately improve school safety.